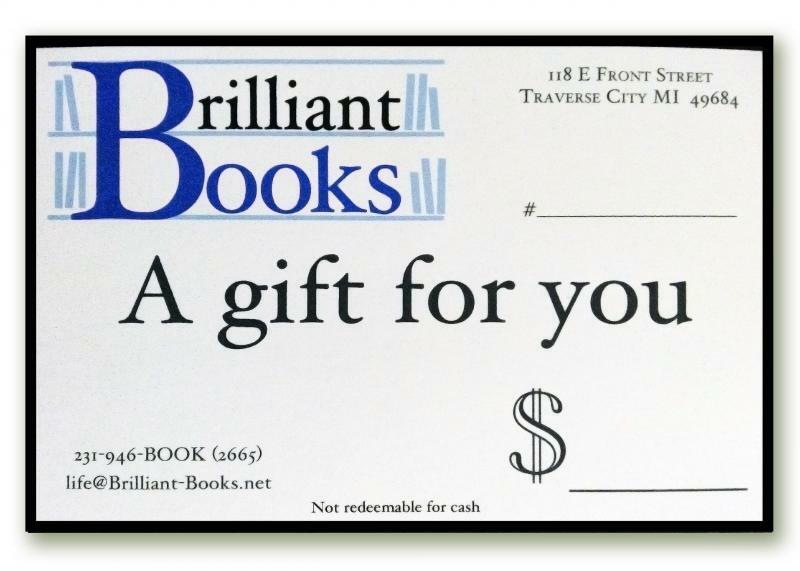 Giving Brilliant Books Gift Certificates is simple. Choose any amount and add a personal message to the recipient. Your work is done! We can mail the certificate directly to the recipient, or, if you prefer to give the gift in person, we can ship it to you or make it available for in-store pickup. Gift Certificates can be used to buy brilliant books and bookish gear in-store. They will ever expire and there are never any fees, just great books. For online shoppers, try our eGift Cards! We don't charge for shipping!